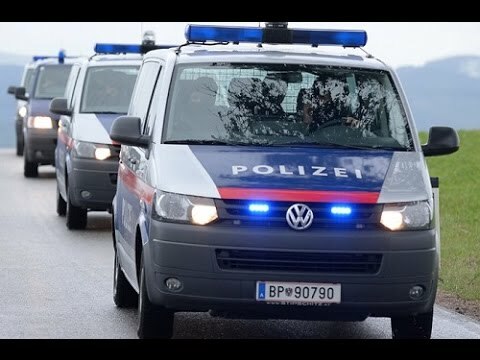 JNN 01 Dec 2014 Vienna : Some 900 police officers swooped in on mosques, prayer rooms and homes across Austria early Friday in an operation against suspected jihadi recruiters and alleged financiers of the ISIS terror group, local media reported. Prosecutors confirmed to NBC News in a statement that 13 people were arrested in the raids. They provided limited details but, according to Austrian newspapers, the raids took place in in Vienna, Graz and Linz and were the culmination of a two-year investigation into people suspected of recruiting young people to fight in Syria. A Vienna-based Bosnian preacher, who was the main suspect, was among those arrested in the raids which began before dawn at 4:00am. (10 p.m. ET on Thursday), according to the media reports. “In the apartment searches, terrorist propaganda material, electronic storage mediums, money and banned weapons (knuckle-duster) were confiscated,” said the statement from the prosecutor’s office in Graz. Beyond recruiting fighters, the Kronen Zeitung newspaper said that the suspects were investigated for helping to finance the ISIS terror group. Some 160 people have so far left Austria to join jihadists in Syria and Iraq, or have been stopped while trying to do so, according to the interior ministry. This entry was posted in Europe and tagged Austia, Austria, Austrian Police, Graz, ISIS, ISIS terror group, Muslim HOMES, NBC News, Police Raids, Vienna. Bookmark the permalink.